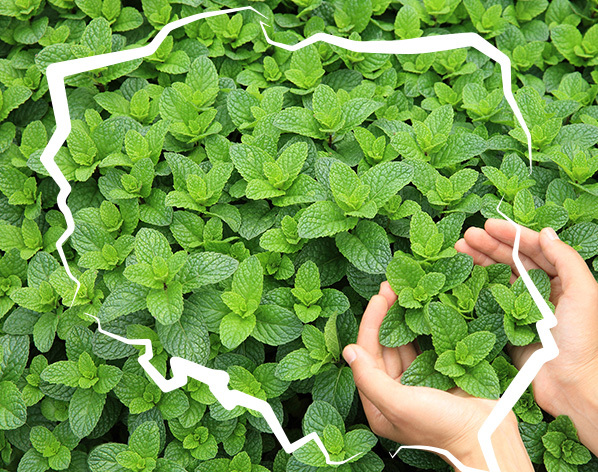 The quality of herbal raw materials offered by the company Polish Herbs is to a large extent determined by carefully selected planters. 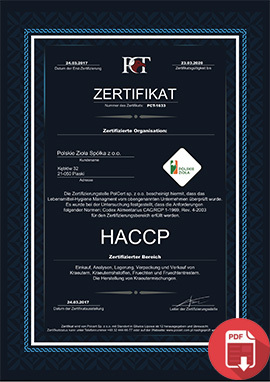 Thanks to the fact that most of our cultivations are located in the areas of the famous for clean air Lubelskie voivodship, the raw materials supplied by us are appreciated by recipients from around the world. 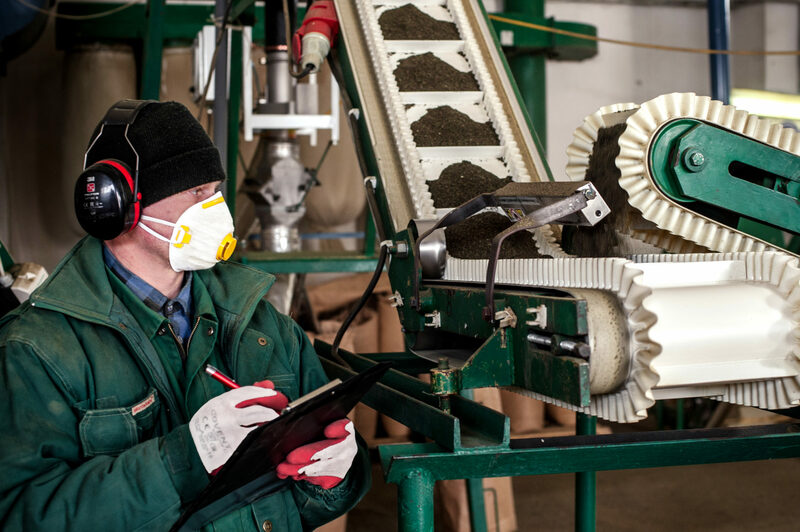 Qualified agro-technicians employed by the company Polish Herbs watches over the quality of sourced raw materials for further production processes. 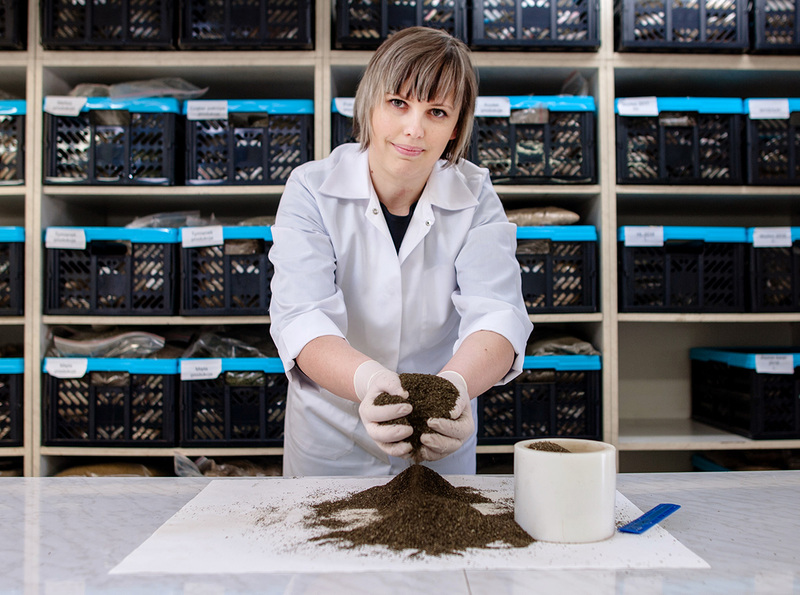 Their work consists in conducting soil research for cultivation, counselling within the scope of using the fertilizers and plant protection products. 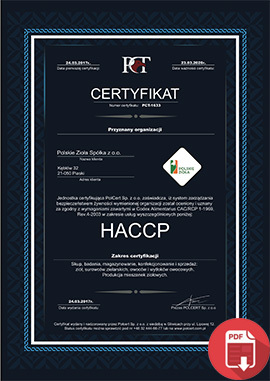 The quality control department of the company Polish Herbs in addition conducts numerous audits of suppliers, which consist of both cultivation quality controls and conditions of the process of storing the raw material. Before the herbal raw material will goes to further processing it undergoes multitudinous laboratory tests. 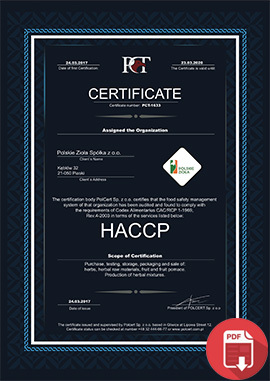 Their purpose is to verify whether the raw material meets the strictly determined workplace criteria. 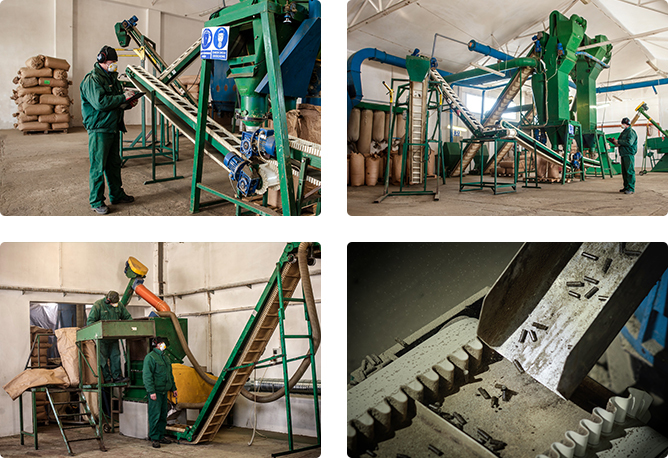 The positive quality evaluation for our specialists equals admission of the raw material to the production process. 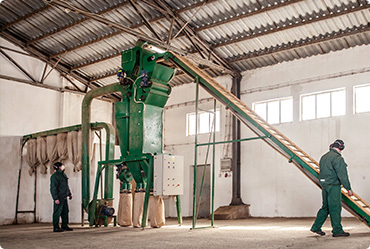 For processing of herbal raw materials, machines provided by the leading processing machines and production lines manufacturers are used. 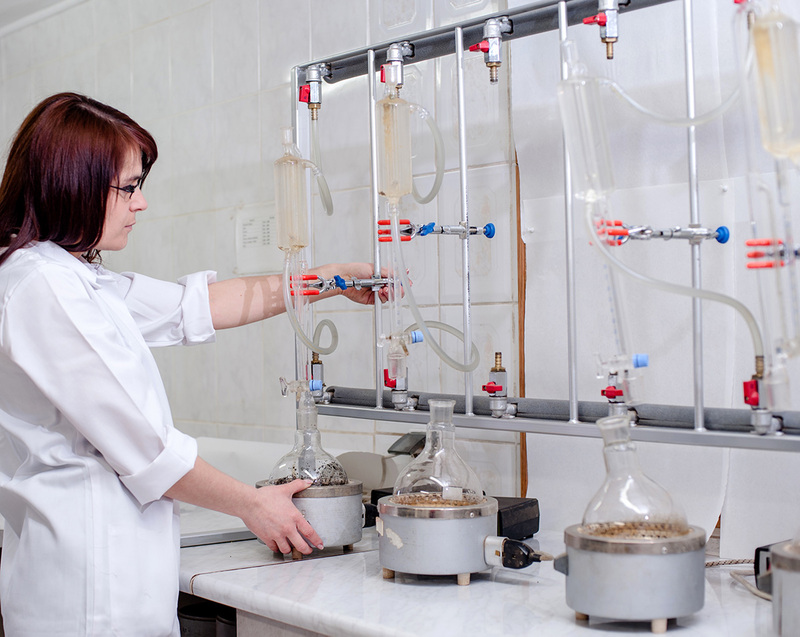 They include: herb separators, pneumatic tunnels, cutters, mills, granulators and mixers. Semi-finished products processed by us are sent to the sterilizer at the customer’s request, where they are subsequently sterilized. 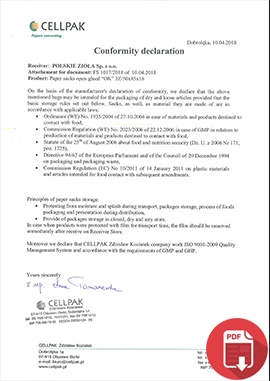 The last stage of production works is to pack the herbal raw materials according to packaging rules agreed with the customer. Products are packed mainly to three-layered paper bags of about 8-25 kg. 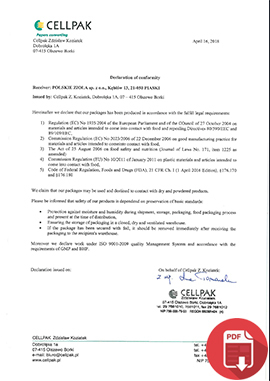 Packages used by us have a certificate – declaration of conformity for paper bags, affirming their intended use for packing dry and powdery foodstuffs. 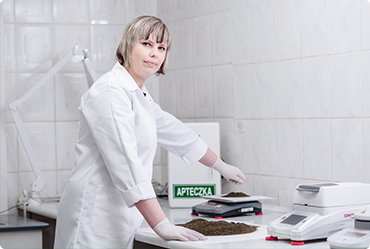 On each stage of the production process, the qualified biotechnologists of the company Polish Herbs conduct quality control of the raw material. 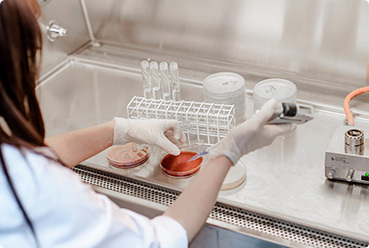 Physical and chemical and microbiological analyses are conducted in a laboratory specially equipped for this task. 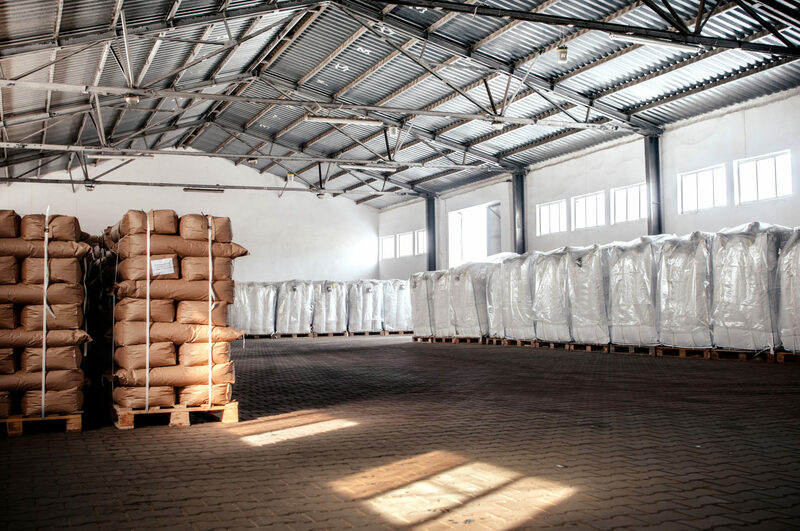 which constitute a guarantee for quality of our herbal raw materials for our clients.